A Christian professor and evangelist said that after 30 years in the Mormon Church, she came to a unique realization – the Bible is more accurate than the Book of Mormon, and God is bigger than the transcendent man worshipped by the "Latter day Saints" (LDS). 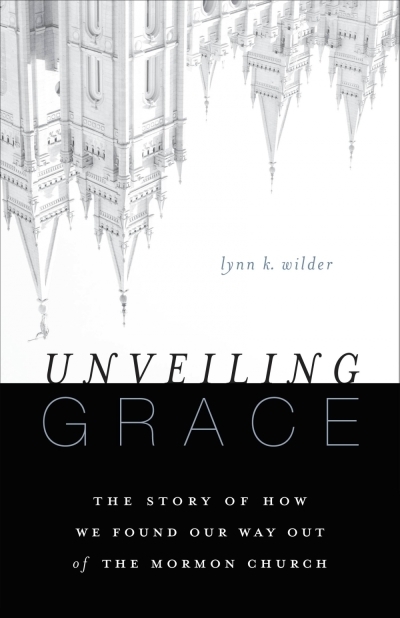 "I began to feel like somebody was pulling back the curtain in Oz," Lynn K. Wilder, associate professor of special education at Florida Gulf Coast University, former tenured professor at Brigham Young University, and author of Unveiling Grace: The Story of How We Found Our Way Out of The Mormon Church, told The Christian Post in a Monday interview. She contrasted the Mormon and Christian churches, unmasking LDS secrets – polygamy, racism, and a fundamental distrust in the Word and Power of God. When Wilder and her husband, Mike, searched for a church home following their marriage, they found most churches "boring and out of touch," she said. She had also been reading the Old Testament thoroughly and became convinced that "these must be latter days," since Israel had returned to its homeland. Mormon missionaries knocked on her door, spoke about the "latter days," and welcomed the Wilders into a close-knit community. "They take you in, they love on you, they began to supplant my biological family," Wilder explained. Joining the church gave her and her husband a higher status in the college and church communities. In 1999, Brigham Young University offered her a job. Upon moving to Utah, however, the professor recounted new discoveries – the Mormon scriptures still preach racism and polygamy, despite LDS public denials. "The Bible doesn't teach that the mark of Cain was dark skin," she explained, "but the Book of Mormon does." She noted that the mark of Cain is in other Mormon scriptures, too, besides the Book of Mormon. It wasn't until her son Micah left the Mormon Church, however, that Wilder considered questioning their doctrines, she said. Refusing to present him to the high council for excommunication, she and her husband sent him away, and he encouraged them to read the New Testament. "Mormons believe that the Bible is often mistranslated and corrupt," the former BYU professor testified. Their scripture tells of a "great apostasy" following the death of the apostles, such that there was no true church until Joseph Smith founded Mormonism in 1830. But when Wilder read the New Testament, she was mesmerized. "I became consumed with this God of love, the God of grace," she said, noting that Mormons believe in works-based salvation. According to the LDS church, your deeds get you into heaven, she explained, while "in Christianity, Christ did all the work on the cross." The LDS church also teaches that Jesus failed to hold His church together, the professor noted. She quoted Joseph Smith's History of the Church, where the Mormon founder wrote, "I have more to boast of than any man had. I am the only man who has ever been able to keep a whole church together since the days of Adam….Neither Paul, John, Peter, nor Jesus ever did it." Wilder said she believed that God is strong enough to keep His church together and to preserve the message in the Bible. In Mormonism, however, God is not omniscient or omnipotent, "he is a man, basically, who is continuing to progress and I can be on that same journey," she said. The former BYU professor explained that, according to LDS doctrine, the best Mormons will proceed to become gods like the creator. Women can only achieve this if they are married, and only apostates – those who reject the LDS church – will go to hell with Satan and his minions. Even Hitler and murderers, by contrast, will reach the bottom level of heaven, she said. The ex-Mormon recalled that, when she turned to Jesus, she began to see signs of the personal Biblical God (the Mormon God is not personal, she alleged) touching many aspects of her life. Her book tells the story of a picture of Christ that survived a burning building, and of a Billy Graham sermon lodged deep in her memory. Wilder testified that a buyer showed up at her house the day after she and her husband had decided to withdraw from the Mormon Church, and a college dean offered her a job for which she had never applied. "Christianity is wonderful because of God," she said. "He's created for all of us a new family, a new life, and the most amazing trust in Him because of what we watched Him do." In addition to teaching, she and her husband run a ministry dedicated to "helping Mormons understand a bigger God, trust the Bible, and give a different Jesus a chance." She said they aim to reach the thousands of Mormons who left the LDS church – often to revert into Atheism or Agnosticism.